Wolf has been creating high quality watch winders and boxes since it’s inception in 1834. Because nothing says as much about a person as a fine automatic watch, Wolf has invested countless hours developing the ultimate way to keep your watch ticking while it’s not on your wrist. European craftsmanship and patented technologies stand behind all their watch winders. Stop by our showroom to see our collection of Wolf watch winders & boxes. Incorporates the ability to completely customize your accessory storage through a unique modular system. Exhibiting WOLF’s wild side, the Exotic Collection of Watch Winders embody elegance and ferocity. 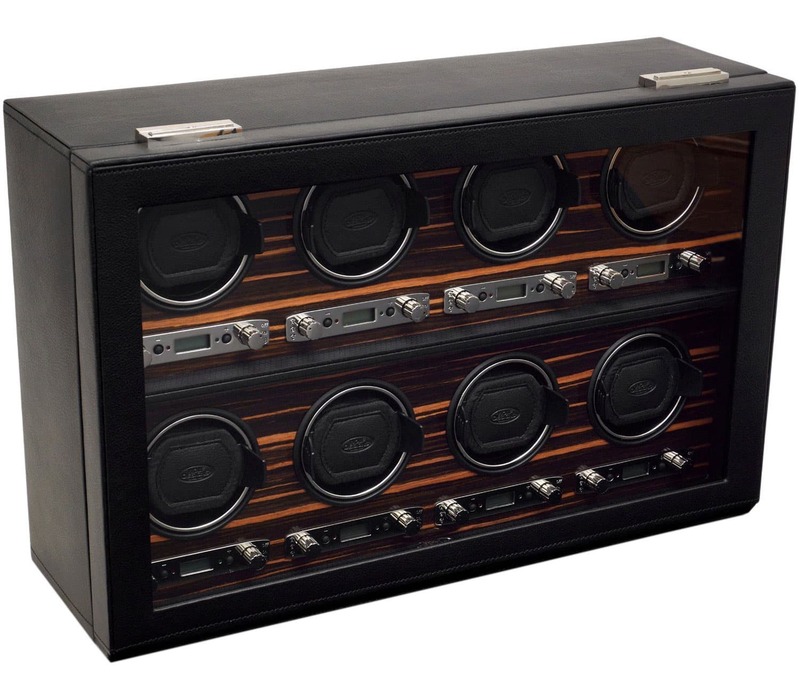 A meticulously engineered watch winder with a sharp design with chrome finished hardware and 8 winding modules.